Transporting coal for the world's largest metallurgical coal exporter – Queensland. Metallurgical coal, also known as coking coal, is used to produce coke, one of the key inputs in the manufacture of steel. Australia, and in particular, Queensland, is the world’s largest exporter of metallurgical coal, representing billions of dollars to the economy. Pacific National is one of the biggest metallurgical coal haulage operators in Queensland. 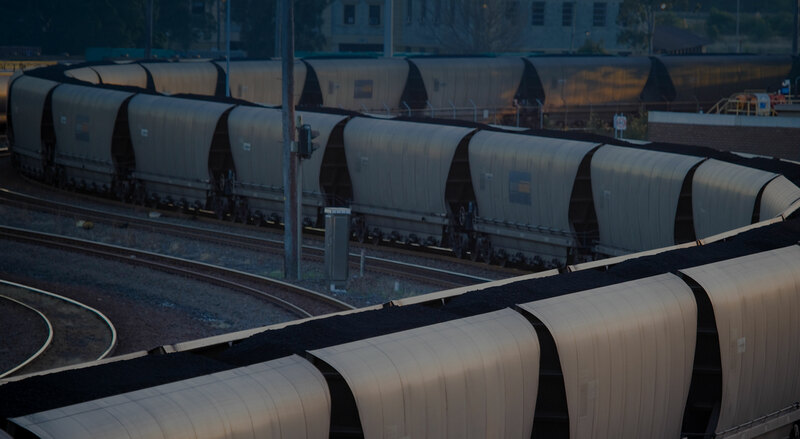 With the price and demand for metallurgical coal expected to continue to increase at a steady rate over the next decade, our highly experienced and qualified team at Pacific National is resourced to provide tailored, optimised rail haulage solutions for our customers. Our culture of continuous improvement and diverse fleet capabilities allows us to take a very customer-driven approach, adapting to customers’ individual challenges and requirements. With the price of coking coal rising to $244 a tonne in 2017/18, and Resources and Energy Quarterly forecasting Australia’s metallurgical coal production in 2018-19 to increase by 1.4 per cent to 199 million tonnes, Pacific National constantly seeks innovative solutions to solve our customers’ challenges and meet their railing requirements.